Te Ara Oranga is a Methamphetamine Demand Reduction strategy pilot aimed at decreasing the number of Northlanders harmed by methamphetamine. The pilot is funded for a period of 12 months from July 2017 with anticipation of funding for another 12 months. 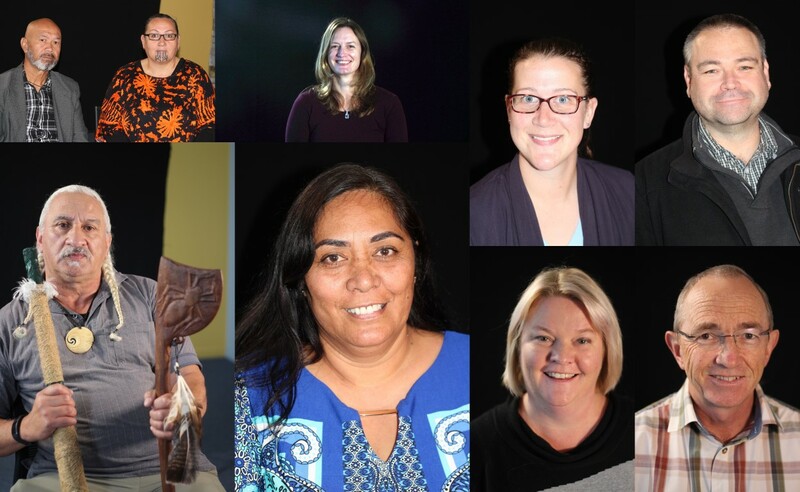 Te Ara Oranga will provide treatment, therapy, health promotion, cultural and peer support to encourage abstinence, assist in removing the barriers to participation in education and employment, and build strong family and social relationships. The health component is a recovery-based treatment approach based mostly in the community. There are four components within the health delivery – Screening & Brief Intervention, Treatment, Community & Whānau Resources and Information & Evaluation. What is and isn’t in scope? The Te Ara Oranga Community & Whānau project will give whānau practical tools to increase their capability to talk about meth issues. The team are developing resources for whānau and communities affected by methamphetamine. 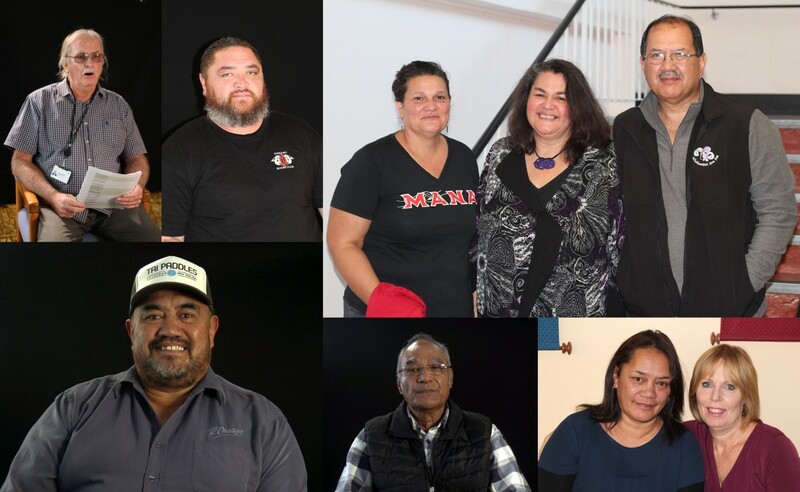 In February 2017 Te Ara Oranga’s Community and Whānau project manager Pam Armstrong facilitated a series of Hui at marae and community halls in Whangarei, Dargaville, Rawene, Kaikohe and Kaitaia. Feedback from the Hui was collated into the themes of Education, Advertising, Family, Govt Funding, Ideologies, Services, Tikanga. An inspirational song and its music video have brought together clients, clinicians and community members as they unite in a shared mission: to get methamphetamine out of Northland lives. Taniora (Daniel) Tauariki is a community support worker for Ngāti Whātua health provider Te Hā Oranga. Taniora’s song ‘Let’s Make a Change,’ written two years ago, has had a new lease of life as it was licensed this year as the theme song for Te Ara Oranga. 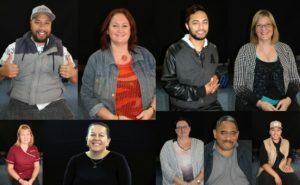 In early July, as a part of the Te Ara Oranga community & whānau resources project, the team have been working with community to produce a music video for ‘Let’s Make a Change’ as part of a kete of resources Northland DHB will give back to each town involved in meth reduction hui. 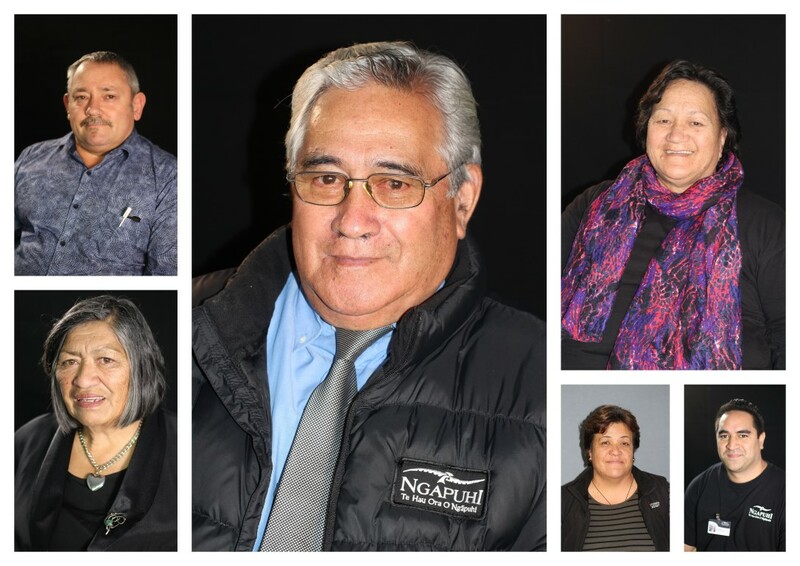 The He Waka Eke Noa / Let’s Make a Change CD was launched at the Kuia / Kaumātua Matariki Ball in Dargaville the night of June 24. He Waka Eke Noa is the treatment roopu (group) through which Taniora and addictions counsellor Steward Eiao deliver drug addiction recovery to Te Hā Oranga clients in Auckland. A big part of that recovery process is getting clients to create expressive art, especially waiata (songs). He Waka Eke Noa (meaning a canoe which we are all in with no exception) bases the recovery stage of a person’s life around rebuilding one’s personal, emotional and spiritual identity, so kapa haka, waiata and learning one’s pepeha (lineage) are a major part of this and recording the CD was therapeutic for clients who lost some connection to their culture when addiction took over. Recorded at Silverpoint Studios in Silverdale, some songs on the CD are in te reo Māori while others are in English. 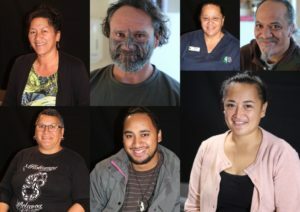 The eight tracks cover musical genres from himene to waiata to rap to haka to gospel – sometimes within the same song – and deliver rousing choruses about overcoming challenges, designed to empower both the performers and the audience. “Who better to tell that message than the people who have already done it?” Taniora explains. At one point during the recording, around 30 members of the roopu packed into the studio to record prayer, haka and their group song together. It’s thanks to this empowering approach that He Waka Eke Noa clients have regained their children and some have come full circle and now work for Te Ha Oranga. 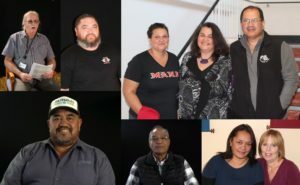 The Let’s Make a Change message coincided with the Te Ara Oranga message when Taniora and his team encountered a community meth resilience hui at Dargaville Hospital earlier in 2017. 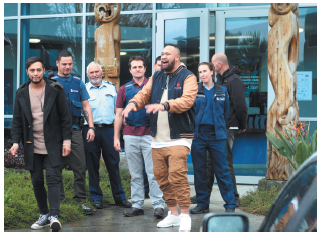 Because people at the hui were workshopping about how to spread awareness of the anti-meth message, Taniora knew he had a chance to put his song to good use and performed the song there and then with bandmates Hone Winder-Murray, and Steward Eiao (and later Benjamin Tauariki). 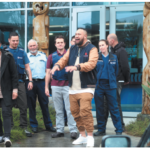 While Taniora says the process of capturing hundreds of community members singing in the music video has been “really overwhelming,” he’s grateful the CD and music video are becoming a starting point for discussions about how to take meth out of people’s lives. Filming (with Channel North) took place in Dargaville, Kaitaia, Kaeo, Kerikeri, Moerewa, Omapere, Kaikohe, Kawakawa and Whangarei. 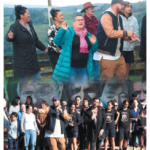 Community groups gathered on the street and in parks to perform the waiata with Taniora and Hone Winder- Murray including Ta Ha Oranga, Whakawhiti Ora Pai, Te Rūnanga o Whaingaroa, Kaikohe Christian School, Kaikohe Dance Crew, Hokianga Health and Police from Kaitaia, Kerikeri and Kaikohe. Northland DHB Communications manager Liz Inch said a music video works as an effective communications tool for meth reduction because it’s a thread across visual, written and oral mediums and will be useful background to radio adverts. In May we worked with more than 40 community champions to film a range of 1 min video clips for social media distribution. All of these resources will be provided to each community on a memory stick (20 memory sticks per community) and will be available on our website for download. The series of video clips will be released over a 12 month period via social media with supporting information. We would like to acknowledge the community champions across the Rohe who have participated in the production of the Make A Change video clips. Thank you for your participation and willingness to front a campaign that provides practical things whānau can do to reduce the harm of methamphetamine.